An exciting new body of research shows that while America is becoming safer, with historically low crime rates—it is also becoming more progressive in its criminal justice system, with more than two-thirds of states having reduced both crime and imprisonment in the past decade. 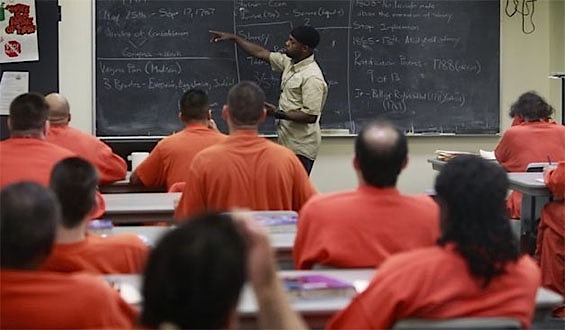 The Pew Research Center published a study earlier this week describing how rates of recidivism dropped by 23% over the course of a 7-year period between 2005 and 2012. Pew analyzed more recent data, too, from the 23 states with reliable reporting, and found double digit declines in both recidivism and crime. They found that investment in evidence-based programs to reintroduce the formerly imprisoned men and women into society have led to measurable success, which also happened right alongside declines in crime. Several states have cut return-to-prison rates dramatically, including Georgia (35% between 2007-2016) and Michigan (43% between 2006-2015). In five more states, including Texas, Arizona, Colorado, North Carolina, and South Carolina, recidivism has also significantly declined (according to several measures), while violent crime rates have dropped by double digits. (FBI crime statistics show that the combined national violent and property crime rate dropped 26 percent from 2005 to 2015). In the decade after 2001, Arizona experienced a 13-percent decline in the rate of those reincarcerated within three years of release—and it’s also seen a 24% drop in the violent crime rate since then. They attribute much of the turnaround to changes in their probation services. They also used federal grants to support nonprofits offering mentoring services and providing technology career training. Programs for inmates themselves have also shown great results. Actor Tim Robbins has dramatically cut in half repeat offender rates for California prisoners who take his acting class behind bars. Prisoners in North Carolina have transformed their lives, by becoming expert braille transcribers. And, prison gardens have taught inmates to grow their own food—and skill set, at the same time. Equally positive is the rate at which black adults are imprisoned. It has declined 29 percent over the past decade, and fell 4 percent from 2015 to 2016.